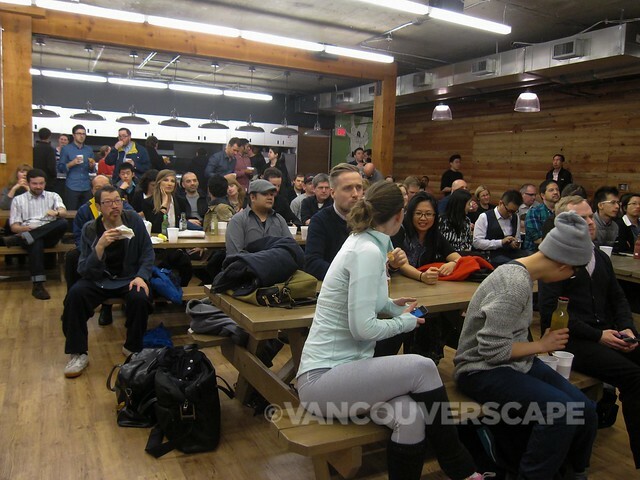 At my first official HootUp as a HootSuite Ambassador last week, I was excited to learn more about two of Vancouver’s largest sports teams, represented via their social media teams: The Vancouver Canucks and the Vancouver Whitecaps. HootSuite HQ is a friendly spot to grab a beer (currently on tap: Elysian Brewing’s Loser Pale Ale, a recent discovery of ours) and slice of pizza and on this particular night, snacks from SPUD organic delivery program, KIND healthy granola bars, RISE Kombucha sparkling “living” tea drinks from Montreal, and other munchies. 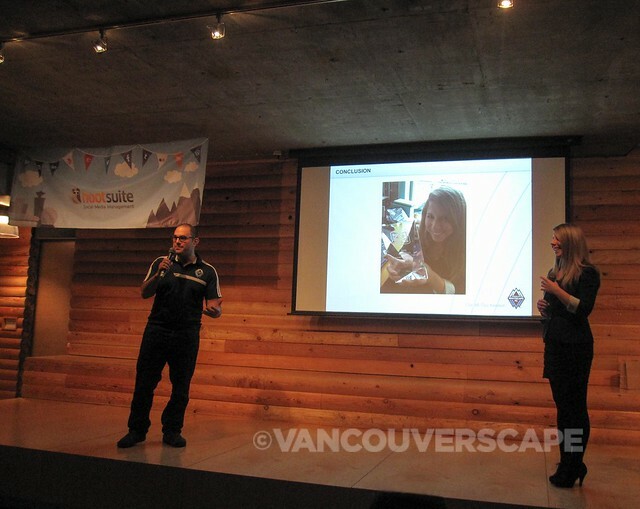 Adam Rootman and Shaina Walker of the Whitecaps social media team kicked off the evening, talking about how their organization stays actively involved with social media using HootSuite, Instagram, and Facebook. They drove home the fact that they’re not just trying to push their message out but rather to have a real conversation with the fans. 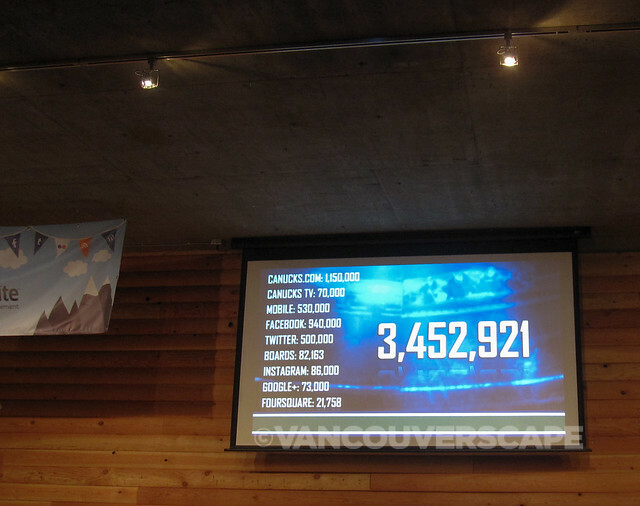 Spreading reach via fun campaigns such as the Instagram takeover, where notable Instagrammers bring their community to the Whitecaps fans using the team’s Instagram account, to posting the Starting 11 on their account to get the fans excited and talking before the start of each match, the numbers have grown to over 100,000 Likes on Facebook and to 60,200 Twitter followers. They’ve even given Whitecaps players access to the company Instagram account while on the road to post some fun, engaging content. The players also give back by way of over 350 appearances last year, including singing to a group of patients at the Canadian Cancer Society. Fun and engaging content seem to go hand in hand with our city’s MLS team! Some of their silliest ideas become successful campaigns: think last year’s FC Fish Cam stunt, winner of the Social Media Activation of the Year! 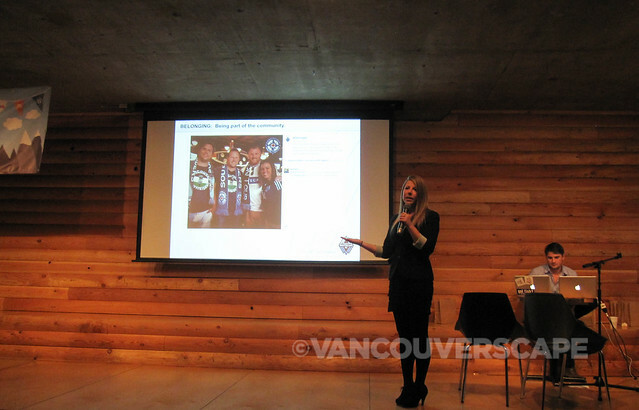 Nicole van Zanten of the Vancouver Canucks web and digital team has a similar tale to tell, that of social media strategy used to drive the brand while engaging fans online. 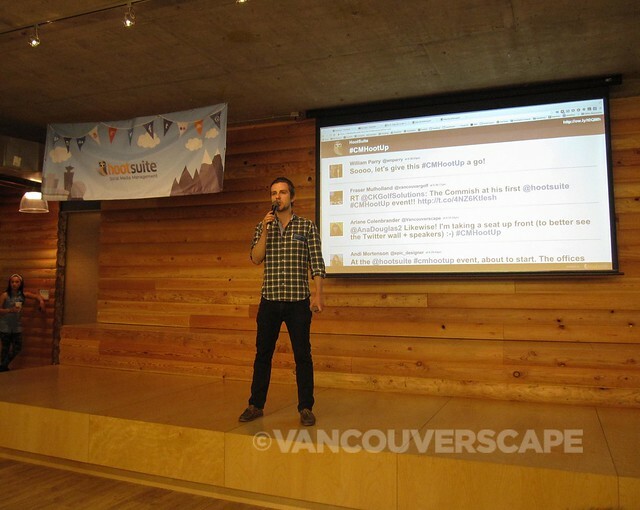 HootSuite also figures prominently within their social team. 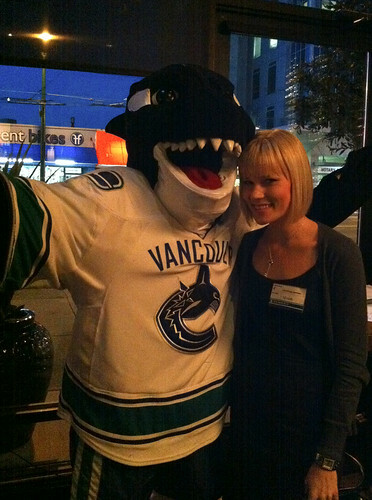 With fully packed days in the arena, at press conferences, games, and meetings, Nicole’s been a successful part of the Vancouver Canucks social media team for five years. She’s watched a very important development take place: social media is close to surpassing what traditional media has to offer. Between all the social media accounts, the number stands at 3,452,921: that’s a LOT of eyeballs on the Canucks organization! As the team’s long-term performance tends to be cyclical and beyond the organization’s control, brand loyalty helps through tough times, especially when the Canucks are having a less-than-stellar season. Van Zanten and her colleagues are committed to the fan experience and aim to be the most accessible brand in BC. 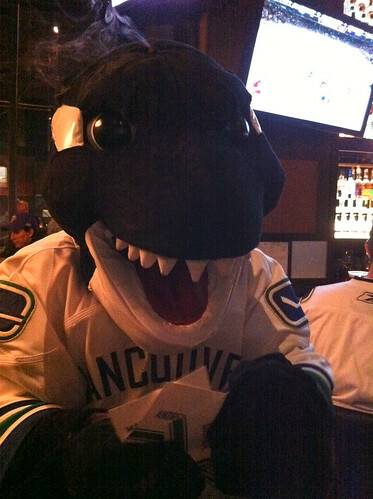 Trust is also key: the Vancouver Canucks brand is the number two trusted brand behind the Vancouver Police. From 2011 to last month, she’s watched the Twitter account reach 500,000 followers. The number one reason? You got it: social engagement. As well, the social media team aims for consistency across social platforms, keeping the brand in check. 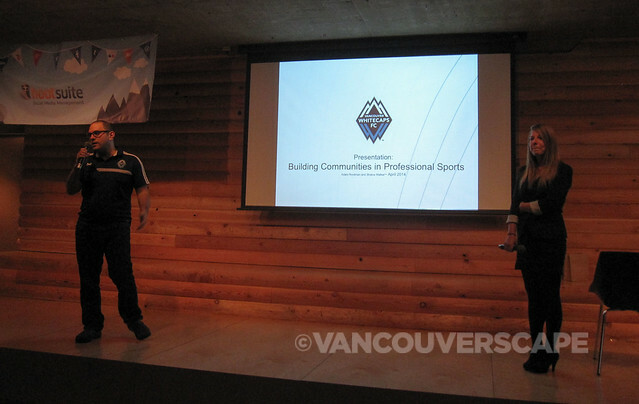 The evening was a wonderful opportunity to make new friends from the social media community while learning what makes both the Vancouver Canucks and the Vancouver Whitecaps such strong social leaders in our city.